Greg Hall remembers the first record he ever bought. At a neighbor’s garage sale when he was a kid, Hall saw a stack of Creedence Clearwater Revival singles for sale, which he bought for a nickel apiece. In that time, he said you either heard these songs on the radio or in concert. But, for 5 cents each, those Creedence Clearwater Revival songs were his. Hall took ownership of music for the first time, something that helped lead him to buy Used Kids Records in 2014. Hall always considered music to be part of his life plan, watching his dad become a choir director after earning his master’s degree in music education. Music was something Hall was passionate about and took advantage of from an early age. Hall paid his way through school by working at SchoolKids Records. A store like this was common in the 1970s and ‘80s during his time at Ohio State. 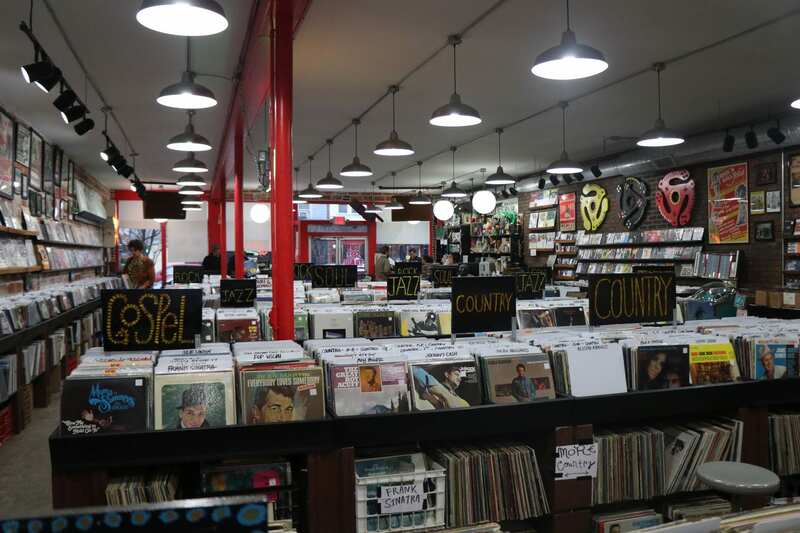 There were eight record stores on the stretch of High Street closest to Ohio State, from Ninth Avenue to Lane Avenue. In 1986, after Hall had graduated, another vinyl store opened directly next to SchoolKids Records. But Used Kids did not fit the changing mold of High Street when Hall bought it, as construction projects replaced local businesses with popular national brands. The only store in the area selling records was Urban Outfitters, a place he said does not count as a record store. 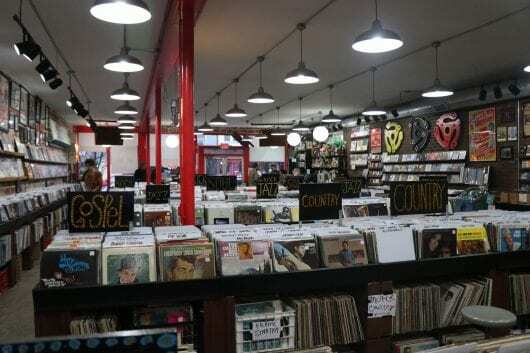 Hall relocated the store to the corner of Summit and Hudson streets in 2016, utilizing every bit of its space to stock records as customers perused section after section, genre after genre, old and new, sealed and used while he blasted records from the “dollarland” section of the store. With rows and rows of albums, tubs overflowing with dusty Elvis Presley and Beatles singles, the culture of records was still there. Hall said it might have died down, with collectors and so-called “nerds” buying physical vinyl. To Hall, the tangible and the tactical is what brought vinyl back for good. Corey Trimmer, an employee at Used Kids, bought his first record when he was 13, which he described as a corny house music record. “Some unknown thing that’s probably gone by now,” he called it. But that started a collection and a love for records, which led him to buying his first turntable and DJing ever since. People like Greg Inbody, a man in his 60s who has attended the store since its inception. This is Hall’s job: to turn people on to new music, to provide the people of Columbus that opportunity to discover and have a moment similar to the one he had as a kid, buying a stack of Creedence Clearwater Revival singles for a nickel apiece. Music was always in Hall’s blood. Now, with Used Kids Records, he is sharing his love with the Columbus area. Correction made at 11:50 a.m. on Nov. 13: SchoolKids records did not close in 2014. Great article! I’ve had the pleasure of talking with Greg and this piece does a good job of getting at the spirit of people who love records for that physical experience. Thanks!